As a bit of an ode to vintage shopping, I’ve compiled a small list of some favorite things that I have collected over the years along with a few lessons I’ve learned about finding the best pieces! With vintage shopping, I would always advise to take a chance on something a little zany. Because everything you’re looking at is one-of-a-kind, it’s better to snag something before you regret leaving it behind for someone else to discover. I bought this thinking it would inspire me to dance more, and it really has. 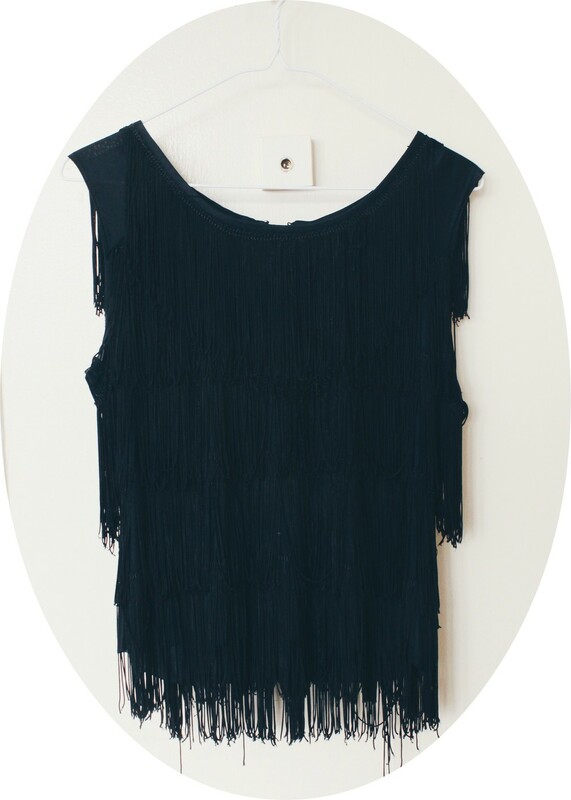 With its black fringe and cropped silhouette, this top embodies the soul of a 20s flapper if she were reborn as Jane Birkin in the 60s. 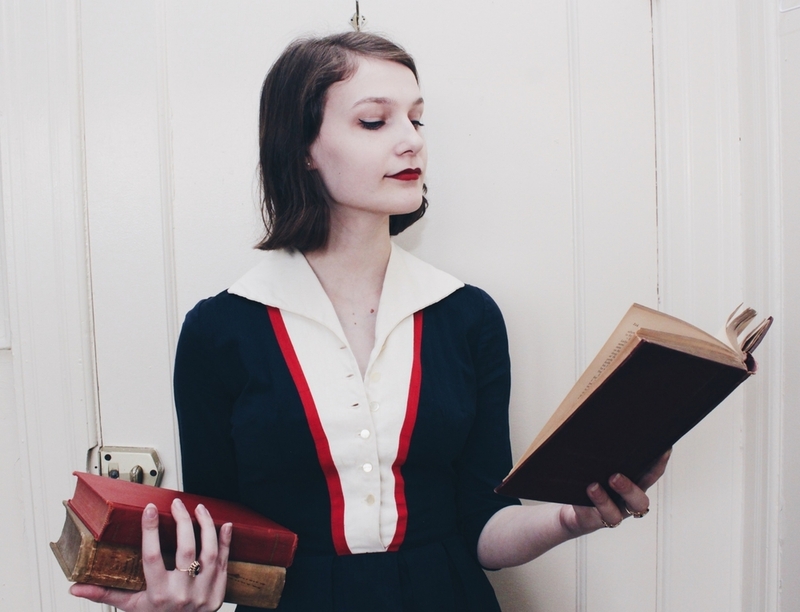 This mid 40s day dress was my first genuine vintage purchase. I was 14 and on vacation in Nehalem, Oregon when I stumbled upon an unassuming vintage shop with my mom. 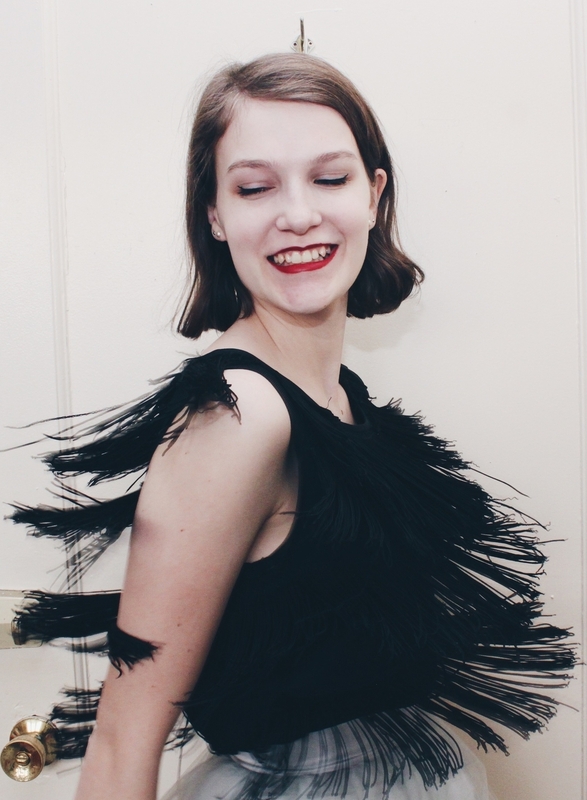 Myself included, we tend to think that big cities are the best places to pick up vintage clothing, but it’s the smaller towns that sell great vintage treasures at drastically cheaper prices! Never underestimate a small town’s vintage collection. I get weak in the knees for anything with a good Peter Pan collar, and this sweet 60s frock may be the crowning glory of “Rosemary’s Baby” meets Pilgrim America fashion. I found this dress on Etsy for only 50 dollars and jumped at it immediately. Many smaller, independent shops can be found selling vintage on Etsy and even Instagram for really reasonable prices. If you know your size and are comfortable with sending things back if they don’t work out, this is another level of vintage shopping you need to try. For as long as I can remember I have been searching for the perfect vintage tweed coat, and I found this beauty last summer at one of the more popular vintage stores in Paris, Free’P’Star. That trip was my first time traveling outside of the country, and like any other American vintage store, you have to really search the racks, and be willing to get your hands dirty, to find something magical. I have an intense love for vintage Salvatore Ferragamo shoes and straw handbags, two things I have been lucky enough to track down. For whatever reason, people seem to overlook vintage accessories. I’m always surprised when I find a beautiful pair of Ferragamos or Manolo Blahniks in plain sight with a 20 dollar price tag. Vintage straw handbags are often harder to come by, and I’ve never been as excited as I was to stumble upon this embroidered beauty with my boyfriend at small vintage store in Seattle.